Chris Hemsworth is a hypocrite. You might recognize the 31-year-old actor from his role as the superhero Thor in Marvel’s cinematic universe. Three times now, he’s taken up the mighty hammer Mjolnir and done battle with sinister ne’er-do-wells on the silver screen. He dressed like Thor, he talked like Thor, he changed his diet, his routine, his entire lifestyle to look like Thor, and while the cameras were rolling, everything he said and did was for the purpose of convincing you that he is Thor. Except…he isn’t. He’s a hypocrite. There are few transgressions our modern society hates as much as hypocrisy. We all know what a hypocrite looks like, and we can identify one almost immediately—the shifty little weasels who “say one thing and do another” aren’t exactly hard to spot. Except…that’s not hypocrisy. Not really. Strong’s Concordance defines the Greek word hupokrites as nothing more than “an actor under an assumed character (stage-player).” A hypocrite, at the most basic level, is an actor. Someone who plays a character on stage for the sake of an audience. Someone who “says one thing and does another” would make an absolutely lousy actor—the word we’re looking for to describe that particular problem isn’t “hypocrite,” but “liar.” Or, in many instances, simply “being a human being.” How many of us hold a set of high standards that we often fail to reach? Or is that just me? Are we all hypocrites, or are just flawed, flesh-and-blood human beings that are trying to be better? No, hypocrisy is a transgression that goes much deeper—one that Jesus Christ particularly hated and opted to say a few choice words about. This past week has been one of symbols and of self-examination. 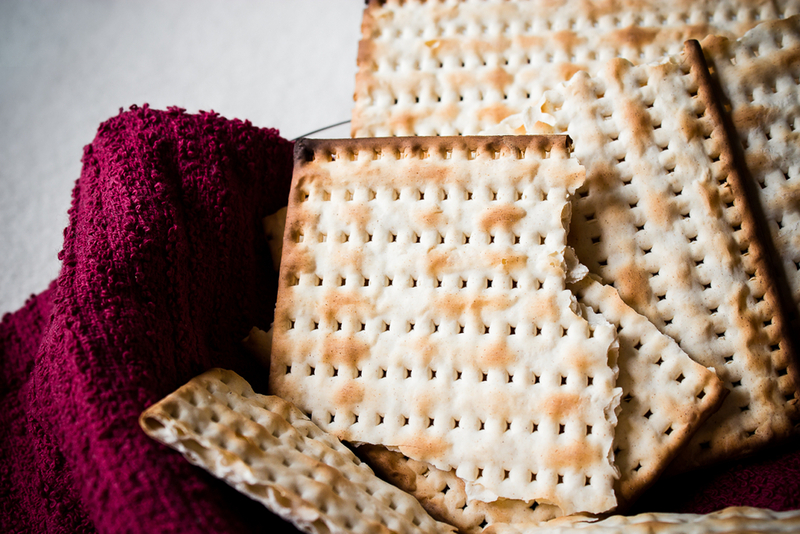 We prepared for it by removing leaven from our dwellings, and we spent the week eating unleavened bread—removing objects that represent sin, and making a conscious effort to “keep the feast” and fill ourselves “not with old leaven, nor with the leaven of malice and wickedness, but with the unleavened bread of sincerity and truth” (1 Corinthians 5:8). Sincerity and truth. Honesty and integrity. Holding fast to what’s genuine, living with integrity, taking down our facades—none of these things describe a hypocrite. In fact, Jesus warned His disciples to “Beware of the leaven of the Pharisees, which is hypocrisy” (Luke 12:1, emphasis added). In starkest contrast to the unleavened bread of sincerity and truth is the leaven of hypocrisy. Like all hypocrites, Chris Hemsworth plays a part. He takes a on the role of a character and does everything he can to make himself fit in that role. When he’s not playing Thor, for instance—when he’s playing a scrawny computer hacker or a racecar driver or a starving man on a boat—he radically changes his diet and his activities, forcing his body to take on the proper physique of the character he’s seeking to play. We often think of hypocrisy as simply “talking the talk,” but the truth of the matter is that a hypocrite is just as determined to “walk the walk” as well. A hypocrite goes to great pains to convince you of his sincerity, but inside…inside is a different story. The best hypocrites are the ones we never spot—the ones who play their roles perfectly, who go through all the right motions, who say all the right words at all the right times while being someone completely different under the surface. 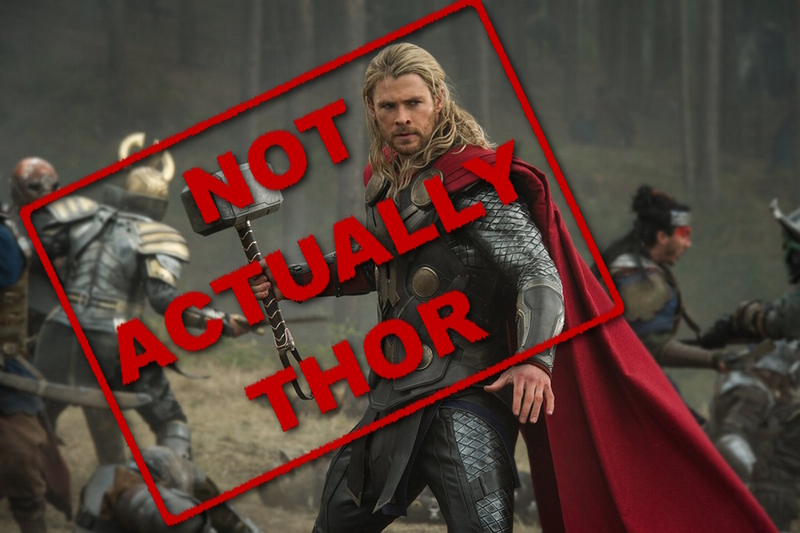 Christ Hemsworth is not Thor. He is not Nick Hathway, the computer hacker. He is not James Hunt, the racecar driver. He is not Owen Chase, the sailor. Those are just roles, personas, people he pretends to be for a living. Chris Hemsworth is a hypocrite. There’s a difference, though, isn’t there? Christ wasn’t condemning all acting; He was condemning a specific kind of acting. We expect actors to be someone else while the camera is rolling or the audience is watching—it’s their job, it’s what they signed up to do and what we pay to watch. The hypocrisy Christ condemned is the kind of acting that exists outside of the studio and on the stage of our day-to-day lives. He didn’t mince words, either. In speaking to the religious leaders of the day, respected members of the Jewish community, Christ proclaimed, “Woe to you, scribes and Pharisees, hypocrites! For you are like whitewashed tombs which indeed appear beautiful outwardly, but inside are full of dead men’s bones and all uncleanness” (Matthew 23:27). Whitewashed tombs. What a picture that paints: beautiful on the outside, filled with rottenness and death on the inside. And that’s exactly the kind of acting God hates. Why? Because God desires “truth in the inward parts” (Psalm 51:6). Because “the Lord does not see as man sees; for man looks at the outward appearance, but the Lord looks at the heart” (1 Samuel 16:7). God sees past the charade and the beautiful exterior that everyone else looks at—He focuses in on the heart. King Solomon warned, “Above all else, guard your heart, for everything you do flows from it” (Proverbs 4:23, NIV). He was right. Every major battle of Christianity is won or lost in the arena of the heart—the one place least likely in any hypocrite to see change. Hypocrites aren’t concerned with who they are. They’re concerned with who people think they are. They make changes on the surface to ensure others see them as they want to be seen. To the outside observer, a sincere Christian and a skilled hypocrite look identical. The only One who can truly tell the difference is the One who looks at the heart. And that, truthfully, is the real lesson we can learn from hypocrites: it’s possible to go through all the motions of Christianity, saying and doing all the right things, and never truly allow the power of God to transform us. We can look the part and still be dead inside. Sincerity starts within. We’re reminded of that when we eat the unleavened bread of “sincerity and truth.” It has to be internalized; it does its work in the secret places of the heart where no one but God can see. That’s worthless to a hypocrite—an action without an audience. Christ promised, “If anyone loves Me, he will keep My word; and My Father will love him, and We will come to him and make Our home with him” (John 14:23). A hypocrite never truly keeps God’s word—just the appearance of it. What does that mean for us? We don’t possess the ability to see into the hearts of others, and we’ve already established that a sincere Christian and skilled hypocrite are nearly indistinguishable on the outside. Why should we care what hypocrisy is if it’s so difficult to recognize it in others? Christ warned us to beware the leaven of hypocrisy—not so that we could seek it out and identify it in others, but in ourselves. It’s the enemy of sincerity and truth. It’s the enemy of everything the Feast of Unleavened Bread pictures. What’s most important to God is what’s happening in “the inward parts”—in that secret arena of your heart that only you and He can see. Who are you under the surface? 3 Responses to "Under the Surface"